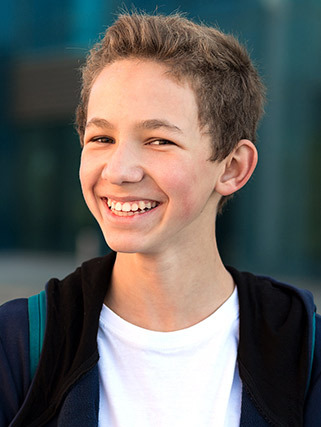 The cost of your orthodontic treatment may vary, depending on your individual needs and treatment plan. During your visit, we’ll discuss the cost of your treatment and each of your available payment plan options with you, so you are able to make the best choice for yourself and your smile. We will work with you to create a payment plan that fits your budget and you will know what to expect before beginning treatment. If you have insurance, we will verify benefits for you prior to your initial exam. We ask that you assign your insurance benefit to us. The balance will be arranged for you to pay. Professional care is provided to you, our patient, and not to an insurance company. Thus, the insurance company is responsible to the patient and the patient is responsible to the doctor. We will help in every way we can in filing your claim and handling insurance questions from our office on your behalf. To fit your individual needs, financial arrangements can be made to extend your payments over a period of time. For your convenience, we accept payment by Visa, MasterCard, American Express, and Discover. We also offer convenient auto-draft payments through our payment management company. In cases of serious delinquency, treatment will be discontinued, although we will make every effort to accommodate patients who experience temporary difficulties. If you do not have a patient login and would like to begin viewing your account information online from the comfort of your home, please click here to sign up for your personal account.